One of my favorite style bloggers is Neva Seljan. Like me, she’s always looking for ways to better manage inventory and be able to find what she wants quickly and effectively. From my view, you have to manage your own “stuff” the way your mind works. 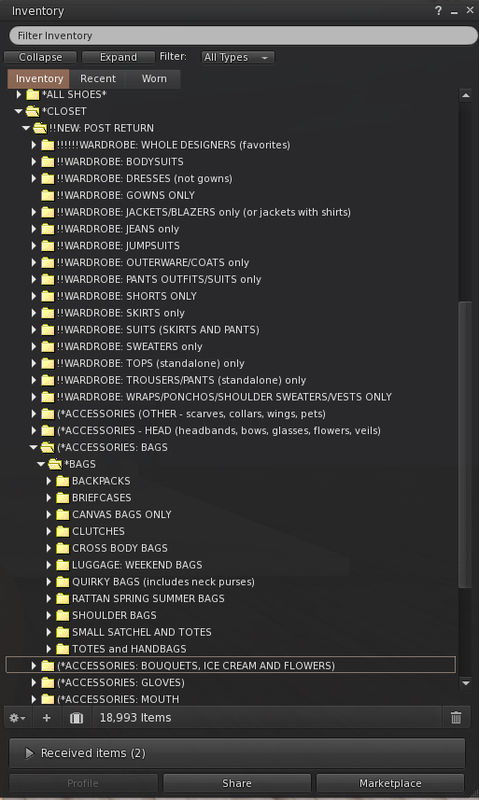 This is your virtual closet so there is no one way. In other words, whatever works for you! 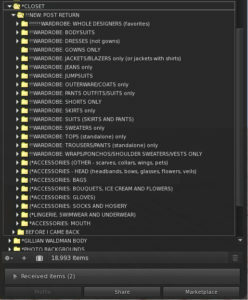 That said, there’s a lot of interest in bloggers’ inventories and how they manage the madness. Here’s a quick look at my approach to inventory management. 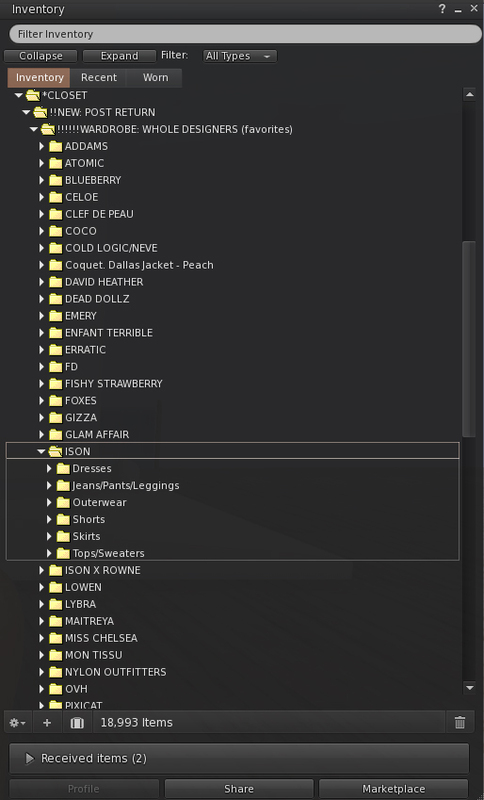 Keep in mind that when I came back to SL, I literally deleted more than 50,000 items and vowed I would never allow it to get that crazy again. How would I find my favorite midi skirts??? 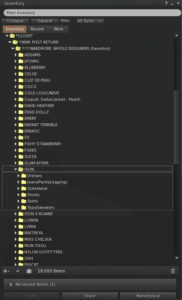 First, I keep system folders on top because my eye automatically focuses on the middle of my screen where I put custom folders. I use big, broad categories for first level organization because it’s less overwhelming when you first hit your inventory button! I have all the major buckets all ready to be drilled into: heads, hair, jewelry, shoes, closet, body, house, etc. Each one has many tiers of organization under it. I constantly cull. I mean, I am ruthless. 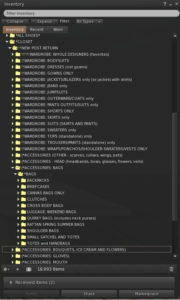 I get nervous and jerky when my inventory closes in on 20k and I flat out delete large swaths of content. I used to keep everything. Now, the only things I hold onto for sentimental purposes are all of Elika’s hairs and every single item from Dazzle/Last Call before Ginny passed away. 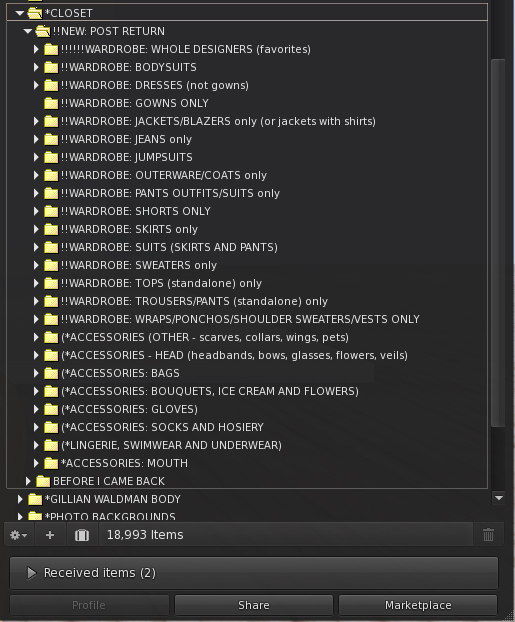 I maintain entire folders of one designer, for creators I wear most often, then sort by clothing type. You get the idea. This is what works for me and allows me to find and constantly reuse pieces that I love. Any good fashionista will tell you, we have our favorites and they are never very far from our reach. Pingback: Feel that first hint of fall in the air? I can and it makes me want to shop! I just absolutely love looking at how others organize their inventory!